Jerry “Jed” Lee Friesel, of Bellevue, Nebraska was born on October 2, 1940 to Henry Owen Friesel and Mae (Bowne) Friesel at the family home in Weeping Water, Nebraska. Jed was the third of four children. He attended Weeping Water Public Schools and graduated with the class of 1958. Jed enjoyed sports at a young age playing both varsity basketball and football. Jed met his wife Sondra “Sandi” Griffin in Millard, NE and married in 1963. They were blessed with a son Jeff, born in December 1971. As a family they spent time enjoying camping and boating during the summer along with skiing in Colorado during the winter. Jed was an avid hunter enjoying the chase of pheasants, turkey, deer and his favorite, elk. Jed and Sandi lived most of their married life in Bellevue and Papillion, NE along with a few years in Littleton, CO and Auburn, NE. Early in his career Jed proudly served as a volunteer for the Bellevue Fire & Rescue Department. He was one of the first members to be certified as an EMT for Sarpy County. He spent over 20 years working with a public utility company and finished out his career driving truck retiring in 2002. Jed enjoyed retirement working around the house, camping and traveling. Their son Jeff married Michele in 1997. Jed’s first grandchild, Morgan was born in 2000 and now attends Boise St. University as a Freshman. Their second grandchild came along in 2005, Jackson who is now 13 years old enjoying school, sports and being a teenager. Both kids are avid lacrosse players enjoying the northwest just 30 minutes south of Seattle. 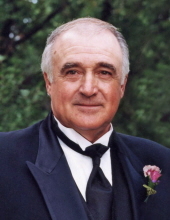 Jed is survived by his wife Sondra; son Jeff (Michele) Friesel (Lake Tapps, WA), grandchildren Morgan and Jackson; sister Monda Dolan (Louisville, NE); sisters-in-law: Sharon Friesel (Pawnee City, NE), Barb (Damon) Bandy (North Platte, NE), Connie Paulson (Omaha) and Mary Reibold (Lexington, KY); many nieces and nephews. Jed was preceded in death by his parents; brothers Marvin and James Friesel; father & mother-in-law Ken and Sylvia Griffin. To send flowers or a remembrance gift to the family of Jerry L. Friesel, please visit our Tribute Store. "Email Address" would like to share the life celebration of Jerry L. Friesel. Click on the "link" to go to share a favorite memory or leave a condolence message for the family.